The Alley Way Stamps has a blog hop going on today and offering the new release to a random winner who comments! 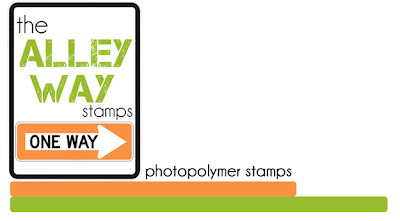 Go check out all the wonderful inspirations with their new stamps! I used some new designer paper called Sleigh Ride by Crate Paper and new Copics that the wonderful peeps over at Taylored Expressions color matched for me:) LOVE! Thanks for stopping by the stage! 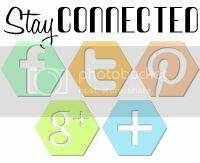 Head on over to By LORi Designs to see what the other designers have created for you viewing pleasure and inspiration! Good morning, crafty friends! 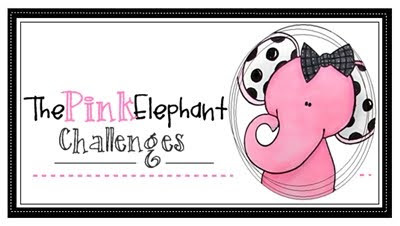 The challenge over at The Pink Elephant this week is to create "Pretty Packaging". One of my new stamp sets, Fa la la from The Alley Way Stamps, has the cutest reindeer image and reindeer food poem...LOVE! I whipped up this cute little Reindeer Food package...now, my Hannah wants to make some for her classmates for Christmas! 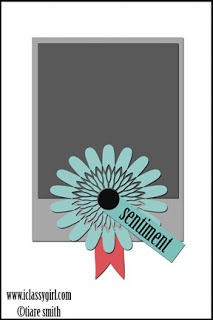 The tag I created was my first attempt at working with Washi Tape from Freckled Fawn. The tape patterns are adorable, but I felt like a fish out of water as I tried to include it on my tage...hard to teach an old dog new tricks, so to speak. Hopefully, as a play with the Washi Tape a bit more, it will become easier and some washi mojo will emerge. What a wonderful Thanksgiving weekend it has been...a delicious meal with family, a little bargain shopping, a dinner and movie date with my hubby, Christmas decorating, and of course...lots of papercrafting! 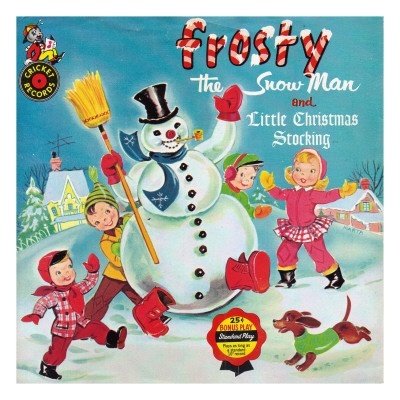 How many of my stamping friends had this book as a child?! It was one of my all time favorites...and a perfect inspiration for my project today! 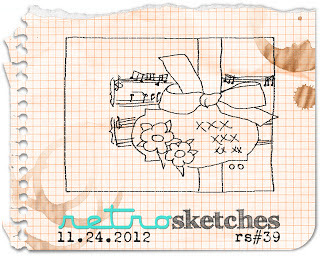 This scrappy holiday card was inspired by the Cover Art Inspiration, retro sketches 39, the Make It Monday 92: Layered Vellum Die Cuts, and Crazy 4 Challenges 164: Put a Bow On It. 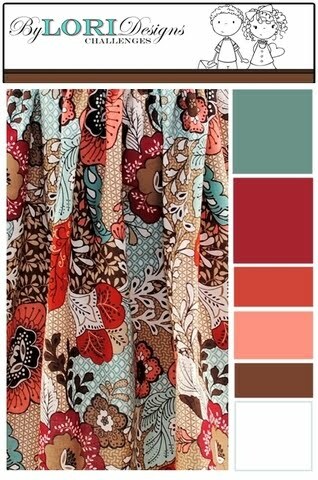 Isn't this new paper, All is Bright by My Mind's Eye,...so completely gorgeous?! Creating the embossed, glittery vellum snowflakes was a new technique that I learned from the fabulous Melissa Phillips from the Make It Monday challenge...and I used her double bow technique, too...a little different from my usual way of making bows! Check out her fantastic tutorial video! Happy Saturday! 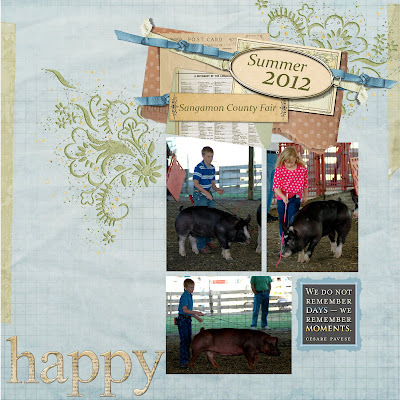 The theme challenge over at The Pink Scrapbook today is Happiness. I used photos of my three kiddos showing their pigs this past summer...happy times for them and happy moments for my husband and I as we see our children growing up and watch them care for their pigs. 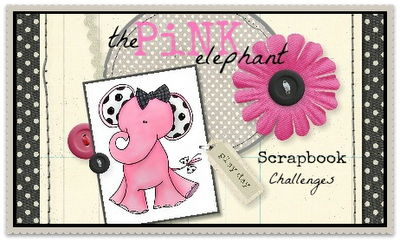 Join us over at The Pink Scrapbook and create a "happy" page! Have a wonderful Saturday! What an exciting day for us at Uniko Studio! Beverley designed some fabulous stamps and digital products for this new release, and we've been busting at the seams to share them with you! I used the Wonderful Washi Christmas and Label Love: Christmas clear stamps along with the Classics Christmas and Eclectic Christmas digital papers for my cards today. 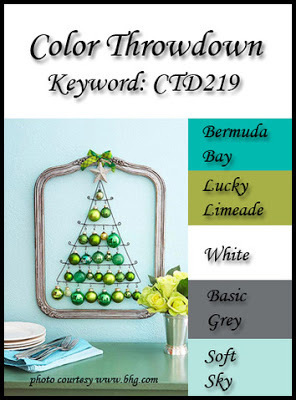 Head on over to Uniko Designs Blog and see what the other designers have to share today...then shop 'til you drop at the Uniko Studio Store. 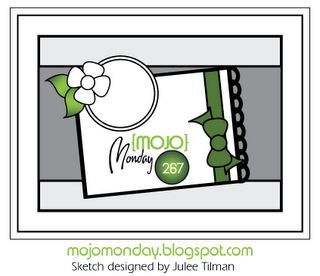 a new-to-me sketch challenge, Classy Sketch 8. 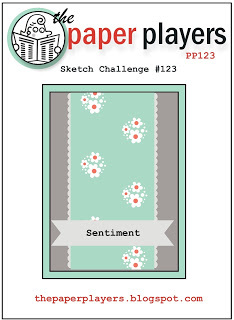 Pull out your pop dots for the Friends of Speedy Challenge 134 over at Mark's Finest Papers, too! Have a wonderful weekend! Stop back by early in the morning for the Uniko Designs NEW RELEASE. It will knock your socks right off! The new challenge is up and running over at By LORi Designs, and boy, is it a goodie! How gorgeous is this color combination!? 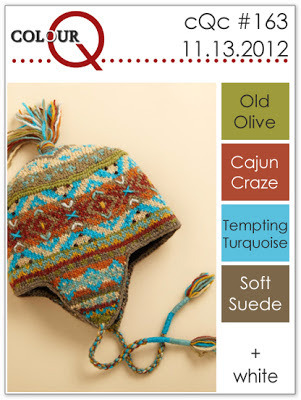 Arielle's color combo, the ColourQ Challenge 163, is awesome for a masculine card. Speaking of masculine, this adorable image called Puddle Jumper Big Storm reminds me so much of my Benny Boy. Ben has always loved imaginative play, dressing in costumes and getting into character...not to mention, the slingshot in hand is definitely something Ben is seen carrying around on occasion while exploring outdoors. 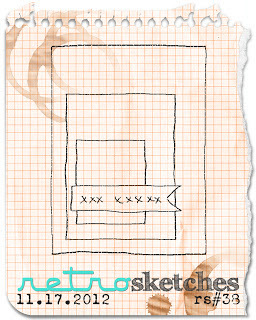 The retrosketches 38 was a great layout to showcase this adorable Puddle Jumper Big Storm image from By LORi Designs. 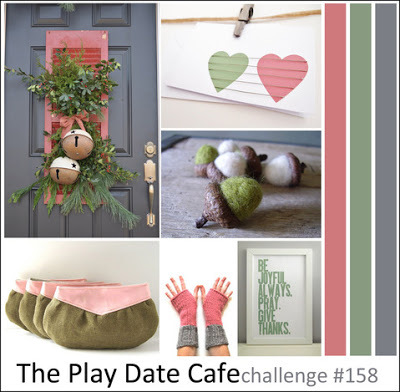 the Play Date Cafe 158. 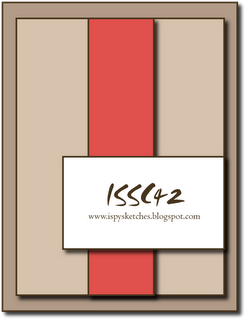 Gorgeous colors and fabulous sketch to work with!